UBC has established the country’s first Emeritus College for retired academics from both of the university’s campuses. In May, the Provost’s Office submitted a proposal to found the college to the Senate on behalf of the UBC Association of Professors Emeriti (UBCAPE), which represents retired UBC academics, librarians and senior academic administrators. It has since been approved by both the Senate and the Board of Governors. Once established, all of the UBCAPE’s activities and members will move into the Emeritus College, dissolving the association in the process. The college will be located at Brock Commons Tower and space for it will be developed over the next four years. Vice-Principal of the Emeritus College Donald Fisher attributed the desire for an Emeritus College to a “cultural shift” in how people view retirement, pointing to the lack of mandatory retirement and increasingly longer life expectancy. “The college provides a pathway, a continuum, for faculty so that they don’t get to this place where they fall off the edge [after retirement],” he said. Fisher also acknowledged the support the initiative received from Ono. According to the proposal, the Emeritus College will be led by a principal-elect, a principal and an immediate past-principal. These sequential positions mean that an individual would serve in each of the three positions for a year. “The resulting ‘triumvirate’ is close-knit, works jointly on major projects, and works closely with the Executive council,” reads the proposal. 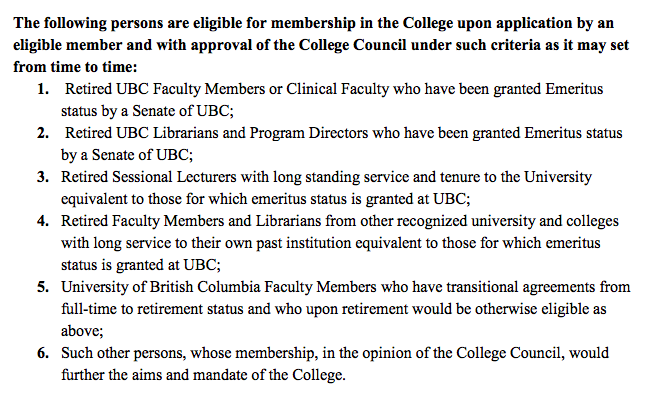 Elected by and from the membership of the College, the principal will report to the UBC Provost and Senate. The College Council — chaired by the principal — will be the core governing body, with up to eight voting members being elected by and from the membership of the College and serving staggered three-year terms. The principal, principal-elect and immediate past-principal will also be voting members of the Council. Previous past-principals will be ex-officio non-voting members. 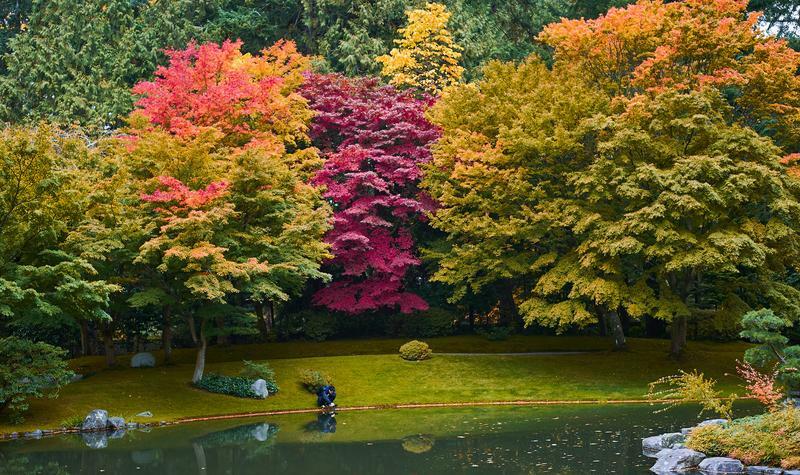 “With an Emeritus College in place at UBC, Emeriti would form and strengthen intellectual, social, and community volunteer networks,” reads the proposal.